The biography of "Canada's band"
In the summer of 2016, more than a third of Canadians tuned in to watch what was likely the Tragically Hip's final performance, broadcast from their hometown of Kingston, Ontario. Why? Because these five men were always more than just a band. They sold millions of records and defined a generation of Canadian rock music. But they were also a tabula rasa onto which fans could project their own ideas: of performance, of poetry, of history, of Canada itself. 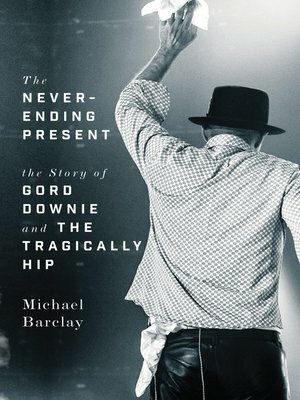 In the first print biography of the Tragically Hip, Michael Barclay talks to dozens of the band's peers and friends about not just the Hip's music but about the opening bands, the American albatross, the band's role in Canadian culture, and Gord Downie's role in reconciliation with Indigenous people. When Downie announced he had terminal cancer and decided to take the Hip on the road one more time, the tour became another Terry Fox moment; this time, Canadians got to witness an embattled hero reach the finish line. This is a book not just for fans of the band: it's for anyone interested in how culture can spark national conversations.